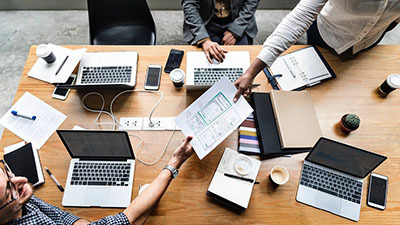 The new website Bankom Agrar has just been started. 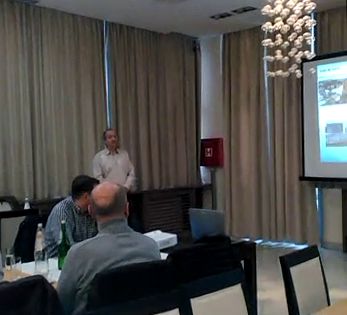 This presentation provides all information about the new Bankom factory, as well as information about the products of the brand Premier for pigs, poultry and ruminants feeding. 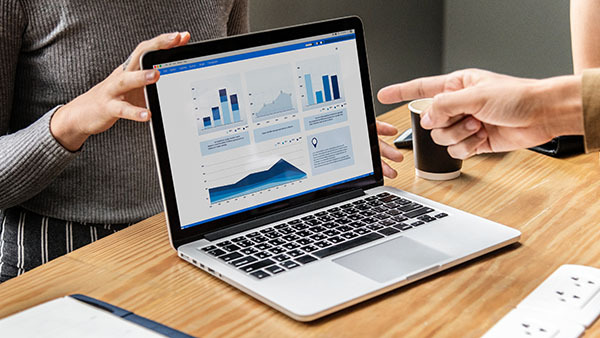 Our goal is to present our customers our new product portfolio. On Saturday the 1st November 2014, Bankom had a pleasure to host approximately about thirty farmers from Novi Pazar, Sjenica and Tutin. All of them are known as good breeders of sheep and cows. On this occasion farmers have visited our new animal feed factory – FSH BANKOM AGRICULTURE, where they have been introduced with the most advanced process of concentrated animal feed and premixes production. 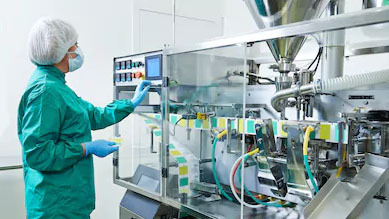 After a visit to manufacturing plant, employees of Bankom prepared a short presentation of main products of Bankom group. In a pleasant atmosphere, a concrete plan of cooperation for the future were made. From 9 to 11 November 2014. 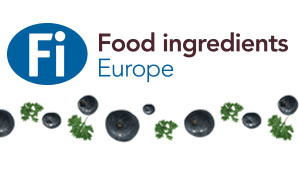 Bankom was presenting its products at Gulfood Manufacturing fair in Dubai, the largest fair of manufacturers of raw materials in the Middle East, Africa and Southeast Asia. 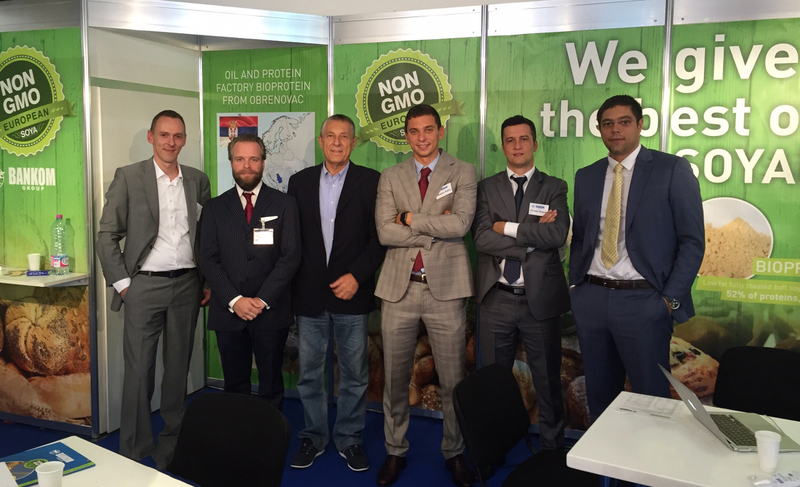 Bankom, who was also the only exhibitor from Serbia and the region, presented its products for which visitors showed a great interest, what resulted in the large number of visits to our stand. Our future plan is to conclude significant export deals. We thank all the guests who visited us. 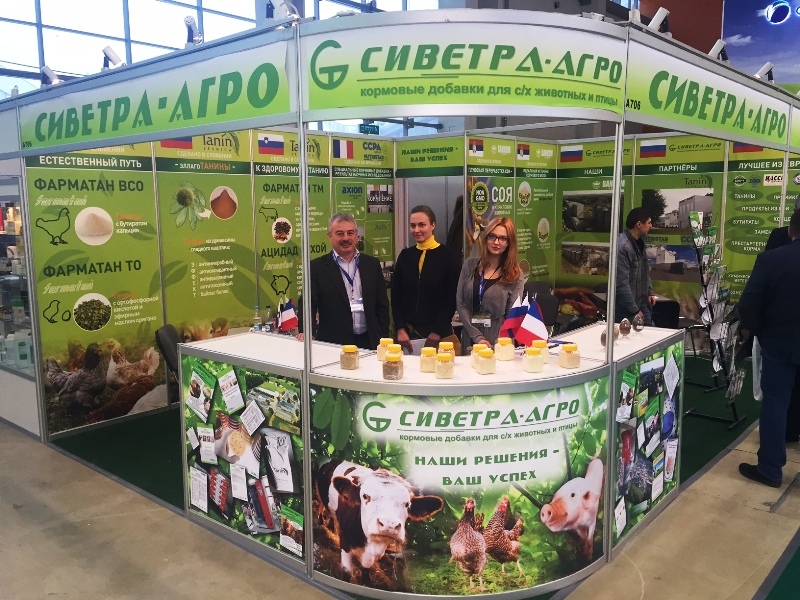 From 27th to 29th January 2015, Bankom Ltd, along with its partner “Сиветра Агро”, exhibited its products at 20th International Specialized Trade and Industrial Exhibition “Cereals – Mixed Feed – Veterinary – 2015” in Moscow. 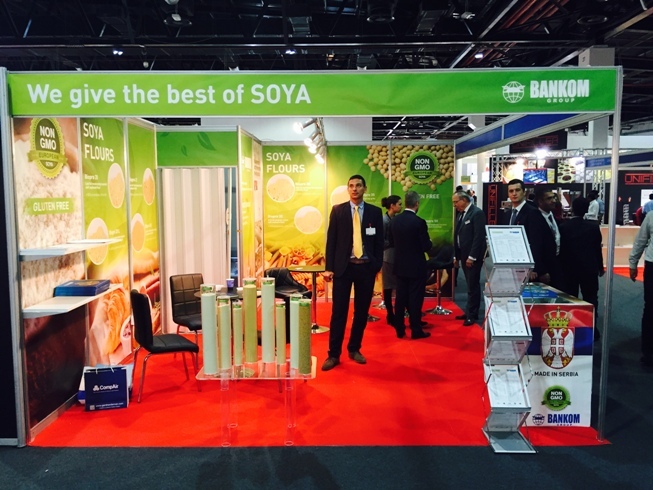 Visitors showed great interest in products of Bankom ltd, presented on the stand. We wish to thank all the guests who visited us. 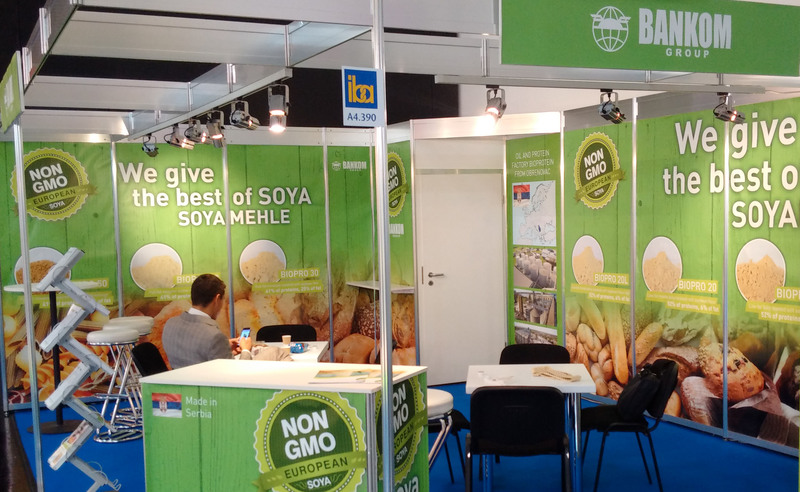 At IBA 2015 in Munich, the world’s leading bakery trade fair, Bankom Group has presented its soy products for bakery and confectionery industry. 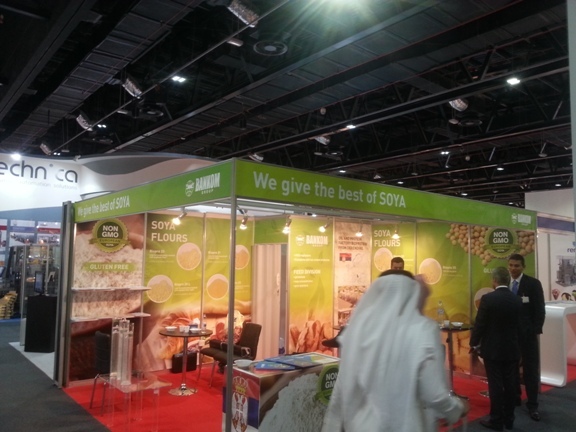 We exhibited soy flour from BIOPRO assortment and encountered outstanding customer response. 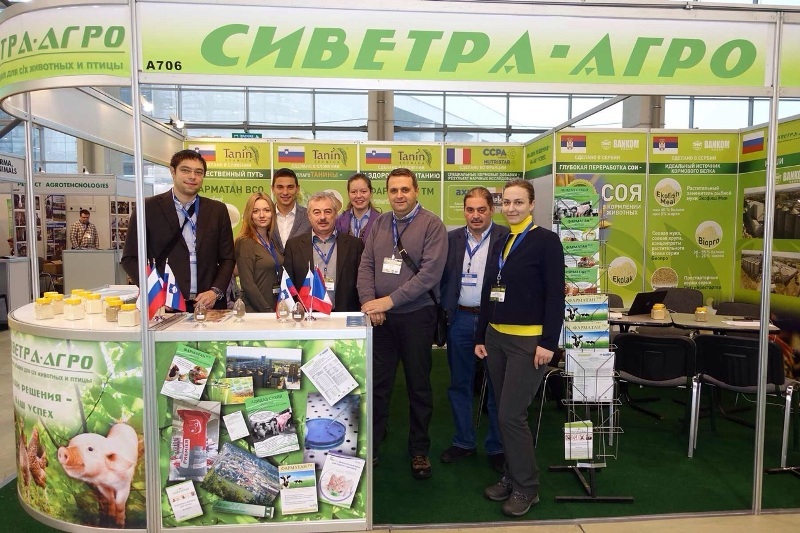 As the only exhibitor from Serbia, we have established business contacts with potential buyers from over 40 countries.